Nightclubs would play “You Stepped Out of a Dream” as she entered. Men adored her, including actor William Powell, and showered her with gifts. Though Lana rarely wore low cut dresses, this fuchsia gown was a favorite. 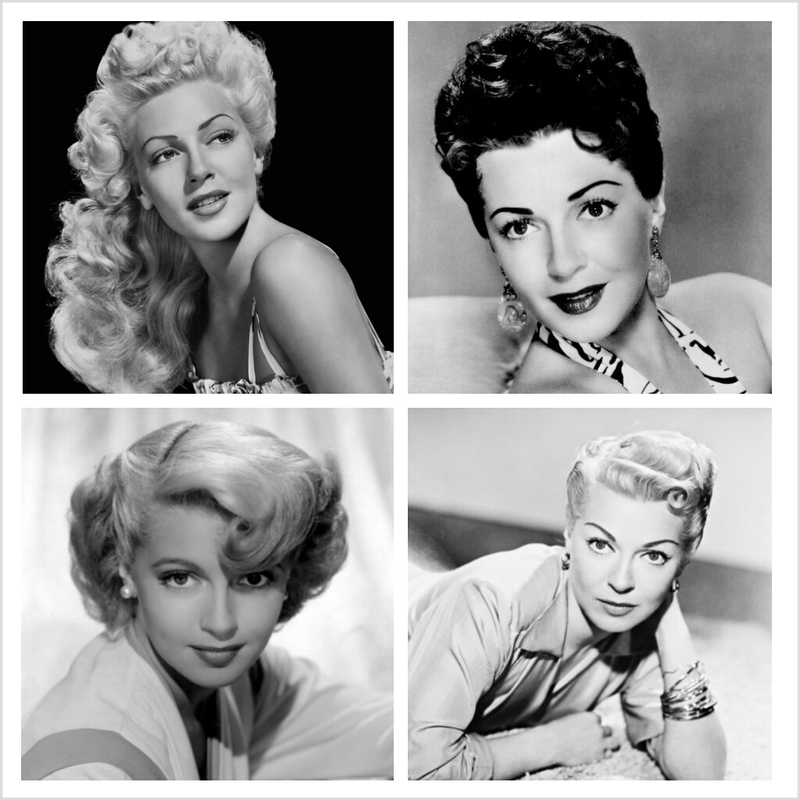 Lana Turner’s glamor, beauty and style made her one of the top film stars from the 1940s through the early 1960s. 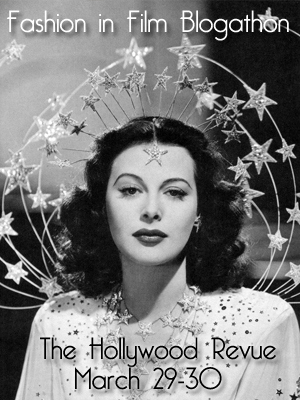 Her fashionable presence and perfection of her appearance has left a lasting impression on classic Hollywood fans. Before Comet has looked at Turner’s beauty regimens such as moisturizing with Nivea or exfoliating with Boraxo soap once a week. Today we are looking at how Miss Turner dressed. Her clothes and jewelry were her star persona that she used as a shield and felt vulnerable without them, Crane said. “I would rather lose a good earring than be caught without make up,” Turner said. Crane describes her mother’s lifestyle and interests in the book in detail-including her clothing. Turner’s closet in her 1950s home was the length of half of their home complete with a platform for fittings, climate controlled closets for furs, jewelry vaults and revolving closets. When it came to evening dresses, Turner liked form fitting gowns but rarely wore low cut dresses. She preferred wearing all white or all black for a dramatic look that complimented her skin tone and hair. (95) She also liked clean, bright colors such as yellow. For professional performances Lana never wore clothing off the rack so that she wouldn’t be copied by department stores. Her casual clothing was tailored as well. Her favorite designers were Jean Louis and Nolan Miller, later in life. When Lana started in Hollywood, her hair was a reddish brown. It was eventually died blond, which it stayed for most of her career. In other films like “Green Dolphin Street” (1947) and “Betrayed” (1954) her hair was brown. Turner’s hairdresser, Helen Young, experimented with up-dos and wove jewels and flowers into her hair, Crane wrote (88). Along with jewels, Lana often adorned her head with hats- from flowered pieces to feathers, veils and Spanish influenced mantillas. 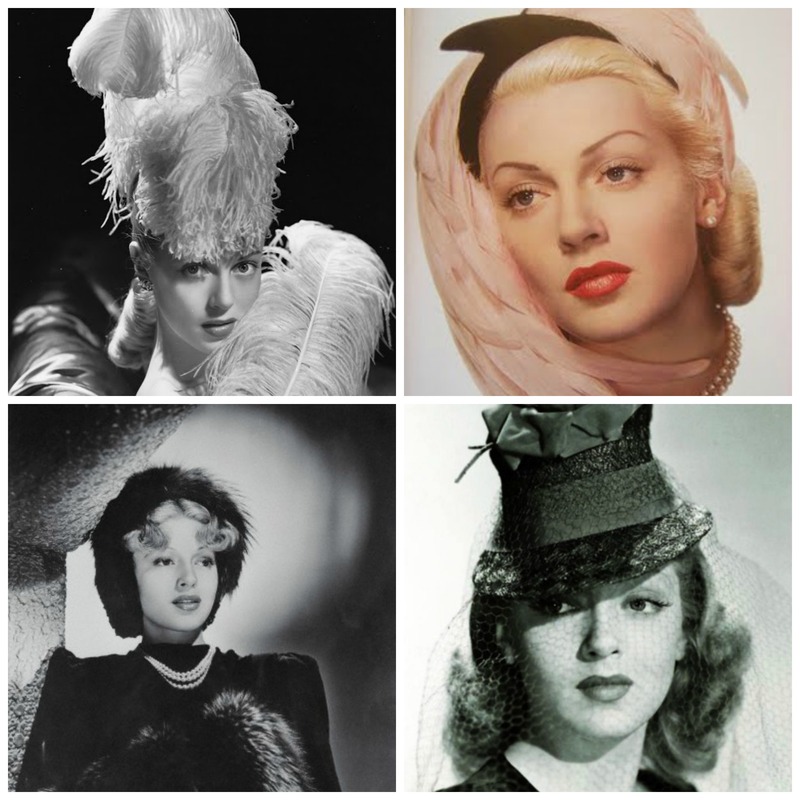 Lana Turner in various hat styles in the 1930s and 1940s. “No dress, however startling, can stand alone,” Lana said. “Even when wearing sweats she had jewelry,” Crane wrote. On the nightclub scene in a white evening gown in the 1940s. It wasn’t just men who admired Lana. Though Ginger Rogers wrote in her autobiography that Eva Peron copied her style in the 1930s, Cheryl Crane wrote that Peron was fascinated with Lana. The fascination made it awkward for Turner when she visited Argentina in 1946. Though Lana Turner is one of the most beautiful women in the classic age of Hollywood, she didn’t think so. Regardless of Turner’s personal opinion of herself, her fashion and beauty made her a one of Hollywood’s ethereal and beautiful stars. This is part of Fashion in Film blogathon by Hollywood Revue Blog. This entry was posted in Star Profile and tagged Cheryl Crane, classic film, Eva Peron, fashion, fashion in film, Jean Louis, Lana Turner, Lana: The Memories The Myth The Movies, MGM, Salvidor Dali by Jnpickens. Bookmark the permalink. That photo of Lana in a nightclub is a killer! The book LANA is really wonderful, so many beautifully reproduced photos. Wow. Lana really worked at it, didn’t she? I guess we can all agree that it was worth it. I really enjoyed reading this look at a true fashion influence. It sounds like she was pretty vigilant! Thanks for reading! I love the pictures and your research on Lana’s daily beauty rituals is really fascinating. Plus, I had no idea that Lana was so influential—but now that I see it, the Eva Peron connection makes a lot of sense. Thanks for this lovely look into Lana’s personal style! I’ll admit, I still do the Boraxo for face wash. It really is an excellent exfoliate. I never realized the Peron/Turner influence until I read the book. Isn’t it fascinating? Thanks for reading! I loved this post, Jessica — so much interesting stuff, and so many pretty pictures of Lana Turner, who was one of my first favorite actresses as a child. I’ve never read Cheryl Crane’s book, but from what you have here, it looks like we finally have a book by somebody who loved and appreciated their movie-star mom. So refreshing. Good stuff! Thank you for reading! I’m glad you enjoyed it. And you are right, it IS wonderful to read how Crane really loved her mother. Lana definitely has men and her career in the way but she loved Cheryl and Cheryl respected her mother. I love the story about Lana’s jewelry being seized when she traveled to Argentina, so it could be copied. I didn’t know Eva Peron was trying to emulate her style, but who could blame her? I know, isn’t that crazy?! I wondered if she ever saw photos of Eva wearing the jewels lol. Thanks for reading! 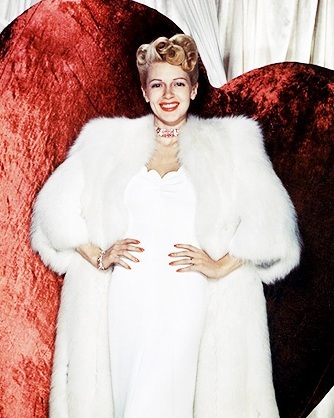 Whoo-hoo, Lana Turner! I’ve always loved how much fun she had with her style. Always very glamorous, but like Cheryl said, she still had an approachable quality to her. And it’s amazing that Lana never thought of herself as a great beauty. I suppose the grass really is always greener on the other side. I also very highly recommend this book. It’s something any Lana Turner fan would love. Thank you so much for joining in my blogathon! I’m so glad you held another fashion blogathon, it was great fun. If you hold one next year, I will be here to participate! I liked Lana Turner before but this book gave me a whole new fascination. It’s so detailed! What a wonderful post on Lana I have always loved her style.. Now, I really want to read the book about her style.. She always looked so glamorous. I’m trying to imagine owning 698 pairs of shoes. Wow!! The book I referenced talks about her movies, friends, romances, homes, cars, fashion, etc in great detail. I highly suggest it. Lana worked so hard at being Lana, didn’t she? The yellow ensemble — including headboard — WOW! And I had no idea that she even influenced Eva Peron, but now that you mention it, it makes sense. Great post. I know! Yellow is my favorite color and that room has me drooling. Thanks for reading! I’m not too familiar with Lana Turner, but she looked stunning. She surely have that diva/queen look. Nice choice for a blogathon! This is a killer post! I confess that I don’t know much about her, so this was a terrific treat! Thanks so much for sharing! Thanks Carley! Isn’t she fabulous? Next on my list is to read her autobiography! Lana is astonishing in so many movies, and also outside of them. I can’t choose a single best outfit of hers, Nice to know that she used Nivea (I have it on my house), bought several colors of one model of shoes (I do it too) and had a natural red-brown hair (I have too). Cheers for your post and for Lana’s fashion sense! I’m really glad Lana introduced me to Nivea. Isn’t it a miracle lotion? So fun that you and her have so many similarities! I agree, it’s hard to pick just one good outfit of hers. Thanks for reading! Lana was a real American glamour girl. As beautiful and secy as she was, there was something of the All-American girl about her. Your post is delicious and makes me want to spend an hour or 2 with this gorgeous gal. Now, where is my copy of “Ziegfeld Girl”? Ziegfeld Girl is one of my favorites! Isn’t she the epitome of glamor?? Lana was nothing if not glamorous – and a great choice for this blogathon (the details you’ve included are fascinating). I’ve also read Cheryl Crane’s book. There seemed to be as much drama and tragedy in Lana’s personal life as there was in her onscreen life. Good pick in Lana Turner. I definitely was a fan of her style of her earlier ingenue days. Thanks for dropping by! The great thing about her beauty regime is that it’s so easy and not out there, like Marilyn Monroe’s were. I recently have become obsessed with Lana after I watched Green Dolphin Street. Even though this was not considered one of her hottest looking movies, I, for one was very taken by her beauty. I just loved how pretty she was. Who could escape those eyes, that smile, her full and heart shaped face? She was like a doll. And that lilting voice was so feminine and sweet. Many actresses today lack that feminine vulnerability that she gracefully displays. And don’t get me started on that figure of hers; that tiny waist, perfect cup-sizes, and those long and lean legs was enough to keep me tuned as she wore those fancy dresses with the tight corsets pinching at her already small waist. It’s funny. I am very familiar with Old-time Hollywood and all the mythology that goes with it. I recognized the name ‘Lana Turner’, but I never recalled ever seeing one of her films. I didn’t even know exactly what she looked like except the mere fact that she was blonde. As I was watching TCM with my mother, I enjoy indulging her with watching old Black n White classics. We turned on this movie and my mother says with an upbeat tonality, “Lana Turner”! OOOh. And from there I have been hooked. I want to watch some more of her movies, but unfortunately the only one available on Netflix is ‘Imitation of life’. I guess I’ll have to order through amazon.